Honor 7C Full Specs Appear on TENAA - Playfuldroid! 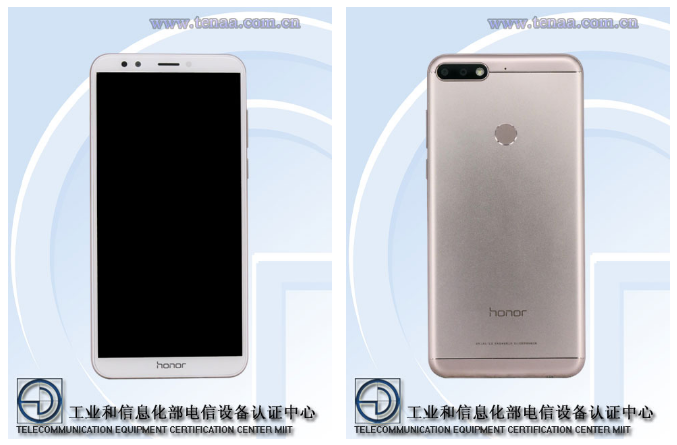 The Honor 7C with model number LND-TL40 and LND-TL30 have appeared on TENAA. 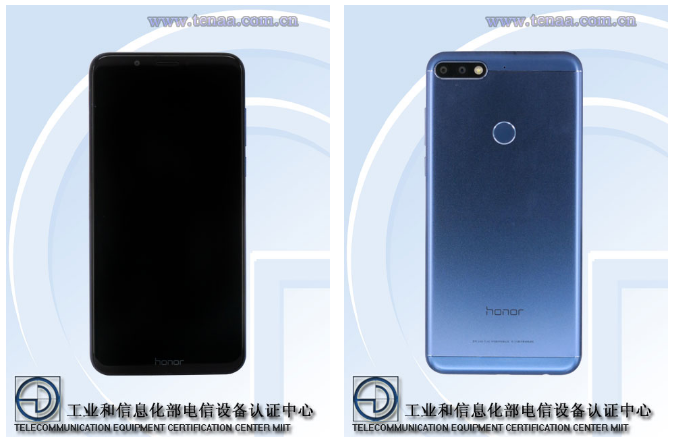 The entire specifications and images of the Honor 7C models have been through the TENAA listing. The Honor 7C will be arriving in Black, Gold and Blue color options and it will be measuring 158.3 x 76.7 x 7.8 and weighing 164 grams. It features a 5.99-inch display that will carry support for HD+ resolution of 720 x 1,440 pixels. This suggests that the handset will be delivering an aspect ratio of 18:9The handset is fueled by 2,900mAh battery. The LND-TL30 and LND-TL40 Honor 7C models respectively feature 3 GB and 4 GB of RAM. Both the models are powered by 1.8 GHz octa-core processor and these devices are running on Android 8.0. Both models feature 32 GB of storage and carry support for microSD card for additional storage. The rear side of the Honor 7C is 13-megapixel + 20-megapixel dual camera setup. At the front is an 8-megapixel selfie camera. The images of the phone reveal that the LND-TL30 has dual selfie snappers whereas the LND-TL40 variant has a single selfie camera. Also, the back panel of the Honor 7C features a fingerprint scanner. As of this writing, there is no information available on the launch date of Honor 7C.